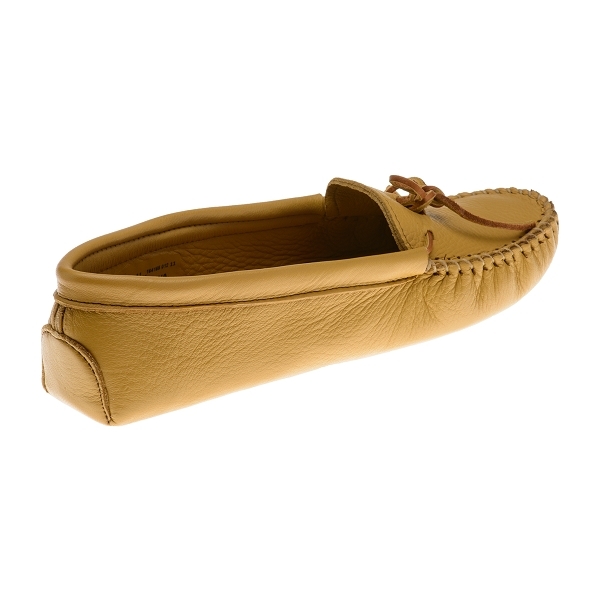 Minnetonka 0216 - Soft, supple, genuine natural deerskin in a traditional moccasin style. Fully-lined with deerskin for the ultimate in luxurious comfort. Wraparound laces that tie with a bow for a custom fit. 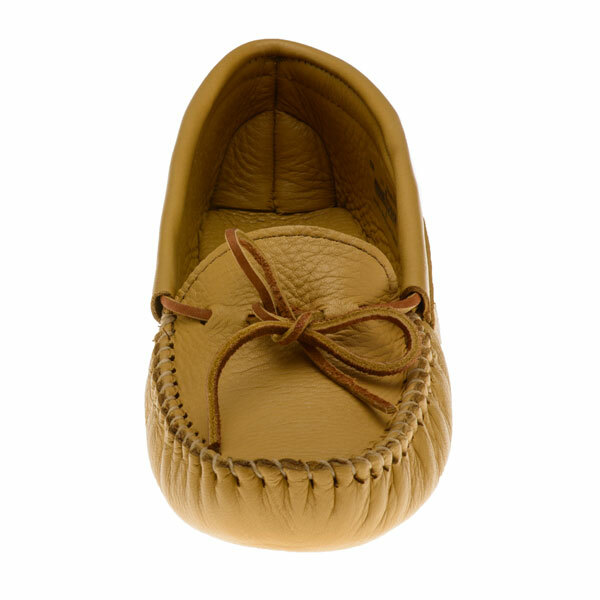 Minnetonka 0216 - Soft, supple, genuine natural deerskin in a traditional moccasin style. Fully-lined with deerskin for the ultimate in luxurious comfort. Wraparound laces that tie with a bow for a custom fit. 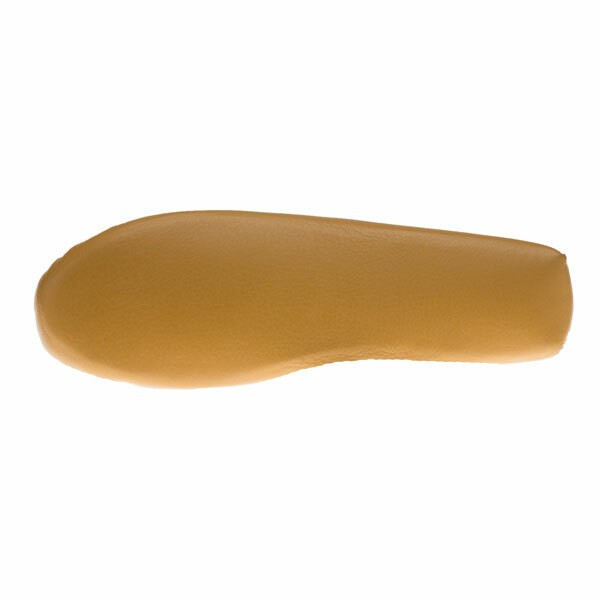 Full padded insole. Slip on a pair and see. I received these as a gift to replace a pair from Alaska... While I like the Alaska moccasins better, these are a suitable replacement! They are padded nicely on the bottom and do not have any tight spots. Fit nicely without being too loose. Do wish they had done kind of rubber sole so I could wear them outside without fear the sole would get damaged in wet weather, but that's my only complaint... And really it's a personal preference. i love these soft soled mocs. hard to find them. quality is wonderful; fit is good. only complaint is my pair is not soft enough yet--have to break them in better. can't wait until they're like my old ones--like butter. Love these moccasins. They fit well. They wear well (and my cats love the ties). And, they make my feet happy. I keep 2 pairs - one at home and one in my suitcase. Plus - it is so easy to reorder. The site keeps the information from previous orders! One of the best sites I have purchased from. And, I can use PayPal. Make your feet happy too! I bought these moccasins to replace a pair I had worn completel out I purchased in Carcross Yukon Canada. The ones I had were soft and hand made. These are as close as I could find to my original pair, but have a more substanstial sole. I bought a second pair a few years later for using while on vacations and just love them. I returned these they were too small !!! 4 or more years ago i found this buttersoft deerskin moccasin in a shop in Jackson Hole, Wyoming. it was ultra soft and i wore it until a whole in the sole appeared. The new one, recently bought online is also soft, but not as soft as the old one. Colour and look are perfect.